This article was originally published by the invaluable Waging Nonviolence. 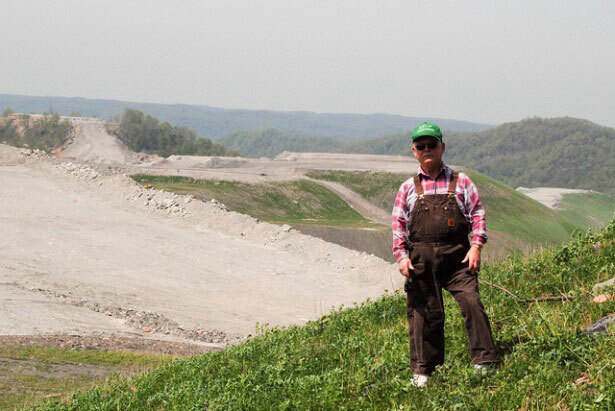 Two and a half years ago, I arrived home from the last of several trips to West Virginia, where I had gone with a group of ten fellow Swarthmore College students to witness the impact of mountaintop removal coal mining. Knowing that our school was invested in this practice that is decimating rural communities—and wanting to support their organizing against it—we decided to ask Swarthmore to divest its stock holdings from fossil fuels. Although we knew that our school wouldn’t have a huge impact on the situation, we hoped our actions would encourage other schools to start similar campaigns—thereby drawing more attention to the daily struggles of people on the frontlines of fossil fuel extraction, and possibly even posing a threat to the industry itself. Despite all the positive attention, however, there’s been little-to-no mention of the environmental justice issues that inspired me and my classmates to push for divestment in the first place. Much of the discussion—not just in the media, but within the movement itself—has revolved around finding so-called market solutions to the current crisis, without recognizing the role of the profit-driven economic system in creating it. In other words: How can we be sure these market solutions won’t just continue to exploit front-line communities or create new ones? Part of divestment’s strength as a tactic is that it can appeal to many people who take issue with the fossil fuel industry, regardless of their political beliefs. And while I understand that we need such diversity to build a strong movement, I can’t help but feel that we are selling ourselves—as well as the people living on the front-lines of extraction—short when we focus solely on carbon emissions and the future of our planet. For me, divestment—and more broadly environmental and climate justice—has always been about fighting fossil fuel extraction and working in solidarity with those whose homes, communities and lives are already being threatened. Right after President Obama said the word “divest,” he stated that “there’s no contradiction between a sound environment and strong economic growth.” But if you ask the people whose communities and environment are being destroyed by the pursuit of profit from energy extraction and processing, you’re likely to get a different answer. Certainly President Obama’s proposed solutions—such as increased fracking—would not provide a “sound environment” for people living along the Marcellus Shale region in Pennsylvania and New York. Furthermore, when the entire issue is framed as being about carbon emissions, the other threats posed by fossil fuels go overlooked. For instance, the Keystone XL pipeline is not just a concern because of the carbon it would release, but also because of the threat it poses to indigenous communities at the points of extraction in Alberta, Canada, and to working-poor communities of color in Texas, where the oil is refined. As we search for solutions, we need to make sure that they do not come at anyone’s expense. Ali Roseberry-PolierAli Roseberry-Polier is an editorial intern at Waging Nonviolence.